The NYFF continues this week with an extensive slate that includes a couple of interesting sidebars. The first I had a chance to catch a couple of screenings for is Cinéastes/Cinema of Our Time. It's a revival of a pair of documentary series produced for French television by André S. Labarthe in which notable film directors, both contemporary and classic, are interviewed for quite a longer and more in-depth session than audiences raised in the DVD-featurette-age might be accustomed to. 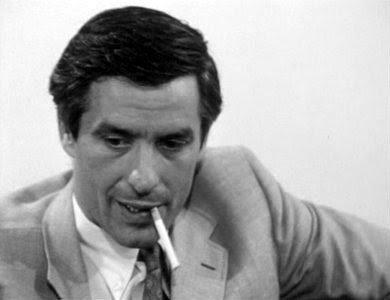 This sidebar opens tomorrow night with John Cassavetes a revelatory 50-minute interview with the pioneering indie actor-director shot by Labarthe and Hubert Knapp in two parts. The first part was shot in 1965 while he was editing his second film, Faces. Labarthe captures a Cassavetes we do not often see, a freewheeling, happy-go-lucky filmmaker on the verge of solidifying his auteurial voice. Though Cassavetes makes pronouncements about the Hollywood system that sound cynical when compared to the dreams of artistic independence he pursues, one detects the nervousness of the director. As Cassavetes affirms, it's not simply finances but his own reputation he's risking. Particularly memorable is his story about how naive it was for him to select a cost-saving, small studio office in an industry town that measures power by the size of the space one commands and works in. The second part of the interview picks up 3 years later, after the release of Faces. Here, a noticeably guarded Cassavetes philosophizes about the difficulties in shooting his films without the safety net of the Hollywood machine behind him if he fails. The sense one gets of him here is of a filmmaker content with his output but a bit wistful concerning the sacrifices he's had to make in order to achieve his success. Lang/Godard: The Dinosaur and the Baby has French New Wave director (and former film critic) Jean-Luc Godard (Breathless) interviewing the venerated Fritz Lang (M), who left a successful filmmaking career in Germany (rapidly falling under the thrall of Hitler) to continue in Hollywood, where his German films served as inspiration for what would become known as film noir. 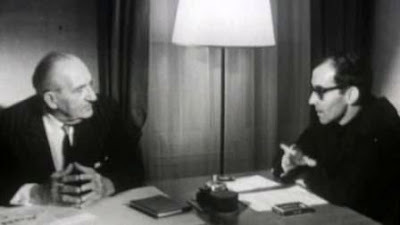 Although this episode of Labarthe's series is made more captivating because it now has a young filmmaker at his peak interviewing one of his idols, it almost gets done in by a dependence on unnecessarily lengthy clips from M and Contempt (in which Lang played a version of himself for Godard). Contempt provides fascinating fodder for discussion as Lang compares his almost dictatorial directorial style to Godard's looser, improvisational technique. Lang's lecturing to the tolerant French director comes across like a somewhat cute conversation between a fading old coot and a hungry whippersnapper, if you know what I mean. This is especially true given the lengths a respectful Godard goes to in staying agreeable and humoring the veteran, imperceptible unless you are familiar with Godard's increasing estrangement with traditional moviemaking as his career advanced. Punk in Africa represents another sidebar playing at the NYFF, the self-explanatory On the Arts. Deon Maas and Keith Jones' documentary starts with an intriguing paraphrasing of a quote by Nigerian musician Fela Kuti, "So as far as Africa is concerned, music cannot be for enjoyment, music has to be for revolution." And for a while, Punk in Africa is mesmerizing in setting up the world of late 70s/early 80s apartheid-era South Africa. The film introduces us to boomer-age men who once belonged to bands with names like Safari Suits, Wild Youth and Screaming Foetus and extol the virtues of being young, angry and politically-minded. 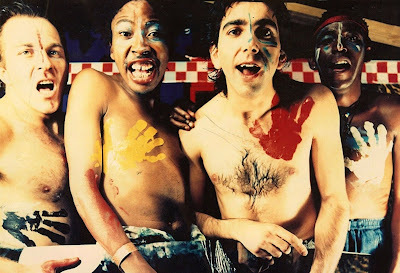 The problem is that Maas and Jones become so enchanted with these individuals and their music they never move on to put the South African punk movement in the socio-political context the opening quote implicitly promised. With wall-to-wall interviews with former punk rockers being the only source of information, one isn't able to appreciate the true impact the bands made on their society the way a historian or even a fan might have informed us of if their perspective had been sought. It's disappointing because, for the first hour the music and personalities draw the viewer in quickly and successfully, before Punk in Africa collapses under its own repetitiveness. John Cassavetes is playing at the 50th New York Film Festival as part of its Cinéastes/Cinema of Our Time series at 6:30 pm Wednesday, October 3rd at the Lincoln Center's Walter Reade Theater, 165 West 65th St (north side between Broadway and Amsterdam, upper level), New York, NY 10023; and at 8:45 pm Thursday, October 4th at the Elinor Bunin Monroe Film Center's Howard Gilman Theater, 144 West 65th St (south side between Broadway and Amsterdam), New York, NY 10023. Lang/Godard: The Dinosaur and the Baby is screening with Luis Buñuel: A Filmmaker of Our Time at 6:15 pm Thursday, October 4th at the Howard Gilman Theater. Punk in Africa is playing as part of the festival's On the Arts sidebar at 9 pm Wednesday, October 3rd at the Elinor Bunin Monroe Film Center's Francesca Beale Theater. For more ticket information go online here, or call (212) 721-6500.